Well over a thousand years old, the tradition of swordmaking in Japan is one of the most highly regarded metal crafts in the world. When all sword manufacture was prohibited in Japan for seven years after World War II, the age-old techniques were in danger of being lost forever. Today, in the hands of a new generation of practitioners, the craft is making a startling comeback. Connoisseurs say that the swords being produced now are the equal of anything made in Japan in the past few hundred years. 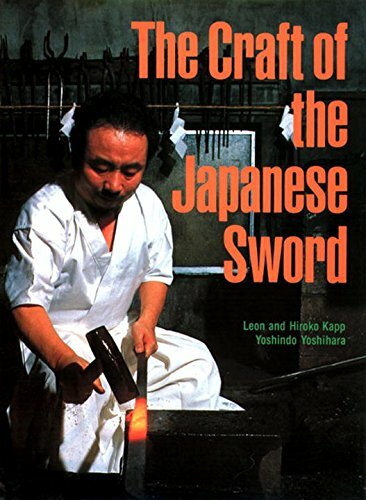 This book takes the reader into the workshops of four of Japan’s leading sword craftsmen. Each craftsman has a different role in the manufacture of a blade. Yoshindo Yoshihara, the swordsmith, begins with raw steel made in a traditional charcoal-fueled smelter and refines it by folding and forging, gradually shaping it into a sword with a hardened edge. Okisato Fujishiro then sharpens and polishes the sword with fine stones to reveal the color and texture of the steel. Metalworker Hiroshi Miyajima makes the small copper-and-gold habaki collar that fits between the blade and the scabbard. Finally, Kazuyuki Takayama carves the hilt and the scabbard out of a single piece of wood. Black-and-white photographs show every stage of the manufacture, while important information on history, metallurgy, and modern-day appraisal is presented in an extensive introduction. The swords made in Japan today are not, of course, intended for actual use. But their design, the quality of their steel, and the techniques used to create them still derive from the sword’s historical function as a lethal hand-held weapon. A sword must be razor sharp, light, well balanced, and strong, but not so brittle it will break. In the perfect resolution of these qualities lie the beauty of the blade and the challenge of the craft. This book demonstrates how brilliantly Japan’s sword craftsmen today have met this technological challenge. The impulse of the craft now is to preserve the utilitarian object and yet create an enduring art for the modern age. While many fine books on sword appreciation exist, these deal primarily with older blades or problems of appraisal. 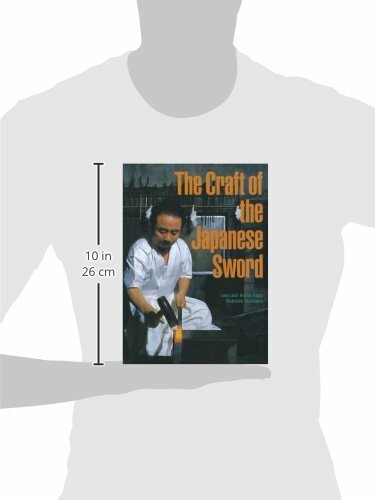 The Craft of the Japanese Sword is the first book in English devoted entirely to contemporary sword manufacture, and will thus be of enormous value to metal artists everywhere, as well as to collectors and students of weaponry.